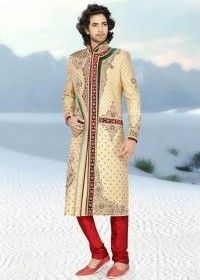 The wedding season is just around the corner and men also need to stock up their wardrobes with impactful ethnic attires. Men have very limited choices when it comes to traditional outfits. Styling a men’s ethnic outfit requires the consideration of a lot of factors. 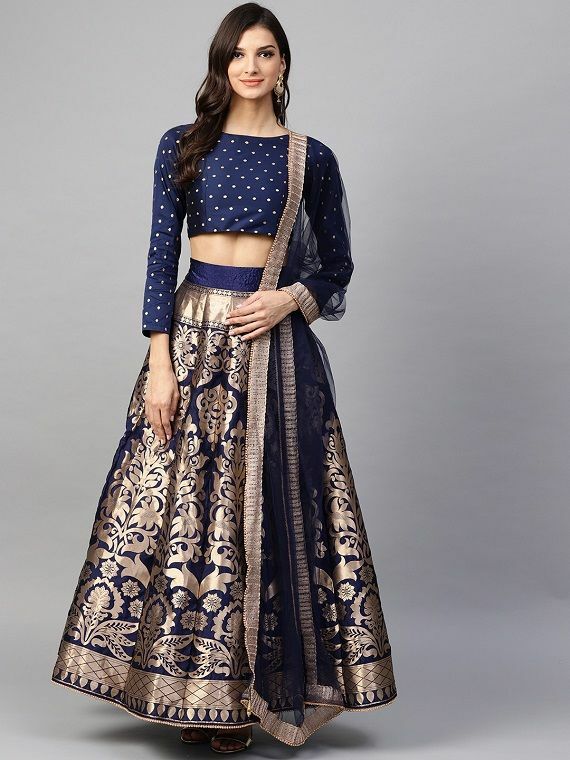 Every year, the fashion trends witness a change and lately, the Indo-western style statements have come to the forefront. Right from unique colour combinations to interesting add-ons, ethnic fashion for men has transformed yet again with the addition of Nehru jacket. Earlier, it was observed that only women like to make a style statement with their ethnic outfits but these days even men are quite aware of what they wear. 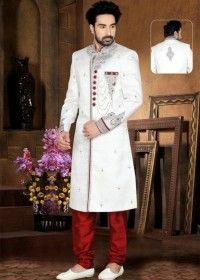 The most common traditional outfits for men are sherwanis, kurta pajamas, dhoti kurtas, etc. Lately, men have started pairing up their Indian wear with different kinds of jackets. Nehru jackets have always been a part of men’s fashion but currently, they are in vogue. These jackets have made a huge comeback in men’s ethnic fashion and nowadays they are easily available online too. Nehru jackets these days are not just restricted to subtle hues like black, beige and grey, they are now available in several different patterns, colours and designs. Even if your kurta is extremely simple, a Nehru jacket can enhance its look. 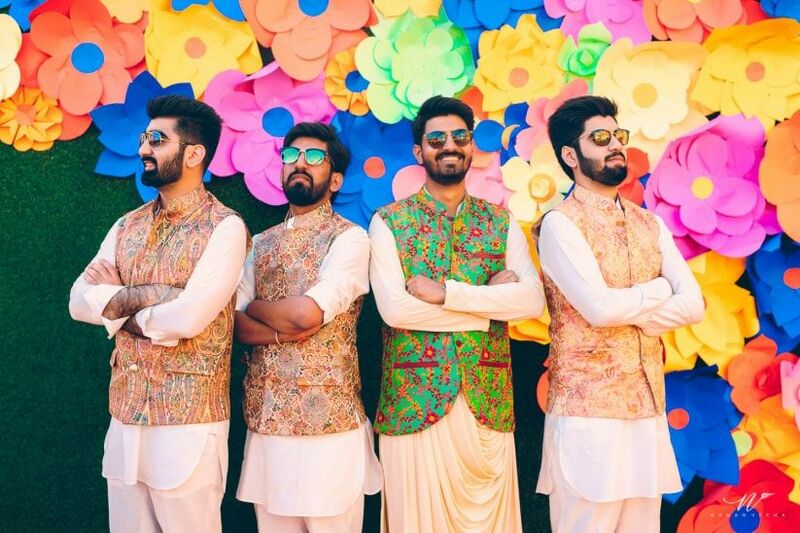 Initially, Nehru jackets were only worn for wedding occasions but these days they are also worn for casual events like cocktail parties, sangeet ceremonies, engagement ceremonies, etc. This particular jacket style is popular all over the globe because of its uniqueness and elegance. Moreover, a Nehru jacket is comfortable to the core too. Nehru jacket was initially only made up of khadi but these days it is made up of several other fabrics like cotton, silk, velvet, etc. The best thing about this jacket is that it can be worn in all weathers. Nehru jackets are hip-length coats with collars which are usually worn with sherwanis. Here are some aspects which are unique to just Nehru jackets. Unlike other jacket styles, a Nehru jacket has a fixed length which is hip-length. Nehru jacket looks extremely formal and is apt if you want to give yourself an Indo-western look. When you think of purchasing a Nehru jacket see to it that the length is proper! It is essential to focus on the length of the jacket because that will define the attire. Nehru jackets are sleeveless and they are meant to be that way. If you want to wear a Nehru jacket then it is better not to experiment with the sleeve length. Make sure that the jacket is sleeveless otherwise, the whole look can go for a toss. Nehru jackets mostly have buttons and they also define the overall look of the jacket. When selecting a Nehru jacket see to it that the buttons are properly fitted and are not looking weird. Sometimes, shabby buttons and their weird colours can ruin the whole look. Make sure that the buttons of the jacket are suiting the overall attire. Well, apart from wearing the jacket style kurta pajama, this particular jacket can also be teamed up with casual wear. You need to experiment with the fabrics when it comes to Nehru jackets and casual wear. Here is how you can style your Nehru jacket with different outfit types. 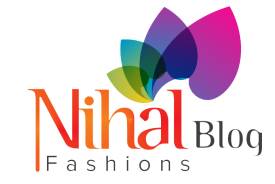 Blend your Nehru Jacket with Denims, Casual Shirts, etc. Nehru jackets are known for their formal looking vibe. However, this amazing piece of attire can also be paired up with casual wear. You can pair up your Nehru jacket with a casual shirt and make it look classy! Try and go for interesting colour combinations when it comes to this attire team up. For instance, you can pair up a dark blue casual shirt with a light-coloured Nehru jacket or else you can go for a brown-toned jacket and a grey casual shirt. Other than the stated, you can also go for a denim and Nehru jacket combo. The denim look is perfect for date outings and other casual events. If you are looking out for a classic look then it is best to pair up your Nehru jacket with a formal looking shirt and straight-fit pants. Though this style seems quite simple, it is equally elegant-looking. In order to go for a formal look, you can pair up your Nehru jacket with a formal shirt and trouser like pants. This look is effortless to carry but colour combination here plays a very important role. Make sure that the colours are not too vibrant because that will take away the formal feel of the look. This particular look is apt for occasions like weddings, reception events, etc. Instead of wearing a regular kurta pajama you can add a Nehru jacket to the overall attire. It is important to keep in mind the colour scheme when going for this combination. Your casual kurta look can transform wonderfully with the addition of a Nehru jacket. This particular piece of attire can also be added to a sherwani. You can influence the look of your kurta pajama combo by selecting a contemporary Nehru jacket too. Additionally, you can go for different fabrics too depending on the kind of look you want to convey. Wearing a Nehru jacket seems the best option for all occasions but there are several style mantras you need to follow if you want to do justice to this look. As stated before, colours play a very significant role in this jacket look. Men usually go for neutral colours like black, beige, white, etc. but there are many other colour combinations which are very much in trend and deserve a place in your wardrobe. Take a look at the much in vogue jacket style kurta pajama looks. Most of us tend to go for vibrant shades when it comes to ethnic outfits, it is also possible to try an all-black look for a change. You can pair up your black kurta pajama with a black coloured Nehru jacket having different hued buttons. This look is perfect for evening occasions and events like wedding receptions, engagement ceremonies, cocktail parties, etc. In order to beat the monotony, you can go for a different coloured footwear! This will not only add colour to the whole look but will also balance out the outfit. It is now time to ditch the bright colours and go for pastels. Pastels are extremely in trend not just for lehengas and kurtas but also for Nehru jackets. You can go for a pastel coloured Nehru jacket and pair it up with a dark-hued kurta pajama set. Additionally, even if you wish to wear it with a sherwani, you can try out pastels. Pastels like mint green, baby blue, peach, etc, look subtle and stylish by all means, especially on a Nehru jacket. Depending on the vibe of the event select the right colour. Instead of matching tones, you can also try and go for different colours. Mix and match is also a style statement to make but it should be done wisely. See to it that the colours you are trying to wear together are in sync and are not looking too weird. For instance, you can opt for the combo of blue, rust and white or grey, pink and black, etc. Mix and match is a vibrant teaming up of colours which is perfect for weddings and festivals. Complete this particular look by wearing simple shoes in the tones of black, brown, beige, etc. One of the classiest ways to wear traditional men’s attire is to choose different hues of the same colour. This way you don’t even have to brainstorm on selecting another colour. It is easier to pair up like this because you can get a lot of choices in selecting hues. Try teaming up a light-coloured outfit with a dark-coloured Nehru jacket of the same colour or vice versa. Gold and ivory work the best for weddings and festivals. Especially, when it comes to traditional Indian wear, having an element of gold is a must. Try to get an ivory coloured Nehru jacket with golden details and you are good to go. Gold blends with all shades be it maroon, green, rust, yellow, etc. 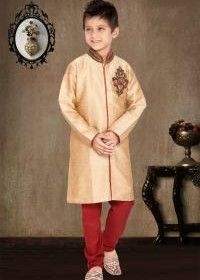 If your sherwani or kurta pajama is bright in colour even then you can opt for a golden-toned Nehru jacket. See to it that the bottoms are subtle because otherwise, the whole outfit can look overdone. Try and maintain a balance between different attires if there are too many colours. Nehru jackets need not be all simple and boring, these days jackets are available in many prints. Try and choose the print of your liking to give an oomph to the outfit. Florals and Nehru jackets make for a wonderful combination and also look fashionable. Florals are extremely flexible and can be worn for both formal and casual events. Usually, florals are vibrant in their colours but you can also go for monochrome tones which will bring newness to the jacket. Just like kurta pajamas and sherwanis are paired with a dupatta even a Nehru jacket can be combined with different elements. However, adding elements to a Nehru jacket is not as simple! Here are some tips to enhance the look of your Nehru jacket. Pocket squares work wonders for all ethnic dresses even for a Nehru jacket. It can be rightly said that a pocket square adds charm to the overall outfit. Pocket squares are available in almost all colours and these days they are present in many designs too. Choose a contrast-coloured pocket square for your jacket and you are bound to impress everybody with your style statement. Though Nehru jackets have crisp high collars, you can add some unique element to it too. Try and highlight the collars of your Nehru jacket with embellishments or some design to give it an ethnic touch. Highlighting the collars and matching them with the sleeves of your kurta can also look perfect. If you are not a fan of embellishments and designs then you can also go for different coloured collars. Buttons as stated before play a very crucial role in a Nehru jacket. Make use of this element and match it with the kurta or sherwani. The matching of the hues not only brings the whole outfit together but also enhances the look without much effort. Even men can add accessories to scale up their style quotient. Though a traditional Nehru jacket is enough in itself, you can add minimal accessories like wrist watch, finger rings, brooch, pocket pin, etc to the outfit. Usually, men prefer to add these mentioned elements during wedding occasions. Just like the colour of the jacket and the fabric, footwear also plays a very important role in completing the look. When wearing a traditional Nehru jacket, you also need to focus on the footwear. 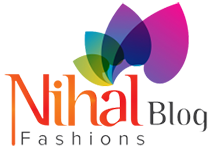 Try opting for footwear types like brogues, mojris, Kolhapuris, monk shoes, etc. Well, one of the crucial elements in choosing the right footwear for a Nehru jacket is the colour selection. Even if your overall outfit is vibrant with many hues you need to choose a subtle shoe colour. Choose from the shades of dark blue, black, beige, white, etc. The shoes need not match the whole outfit but they should surely be in sync with the look. Buy a classic and traditional Nehru jacket online and give yourself a new look!